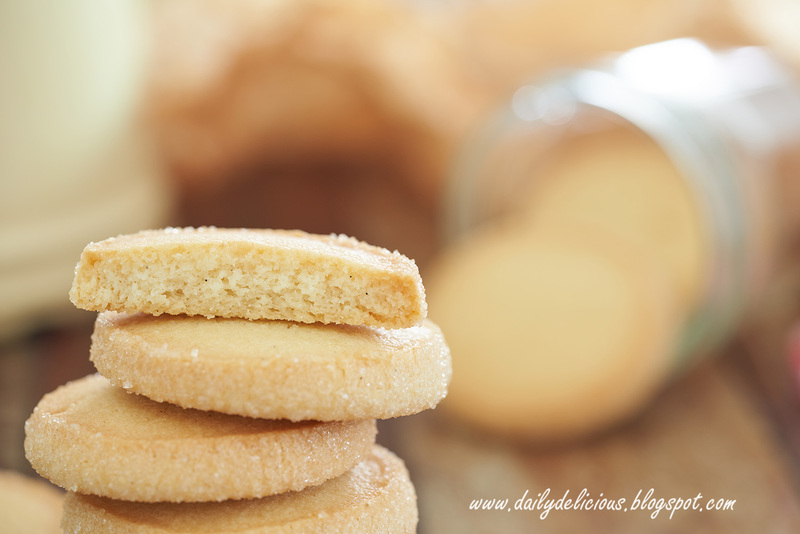 dailydelicious: Sable cookies: butter, butter cookie time! 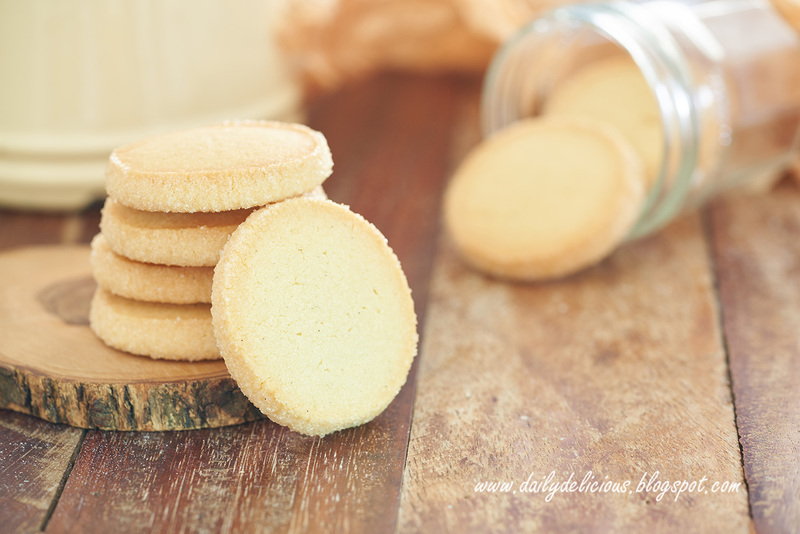 I'm so crazy about butter lately (actually, I'm always crazy about food, haha). 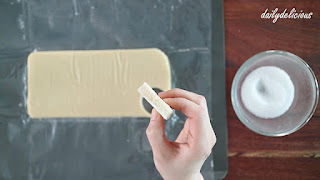 But butter is special, and each brand has its personality, and when you use it in butter load recipe, it's the main actor. 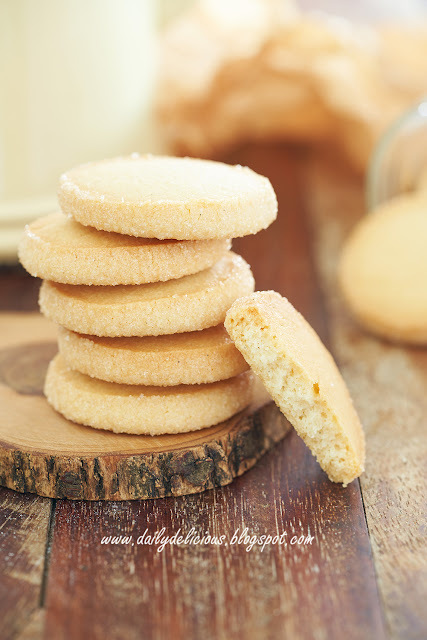 I think that most of us love butter cookies, it's easy to make, eat and yes, it's the recipe that you can make your butter shine (or cry, haha). 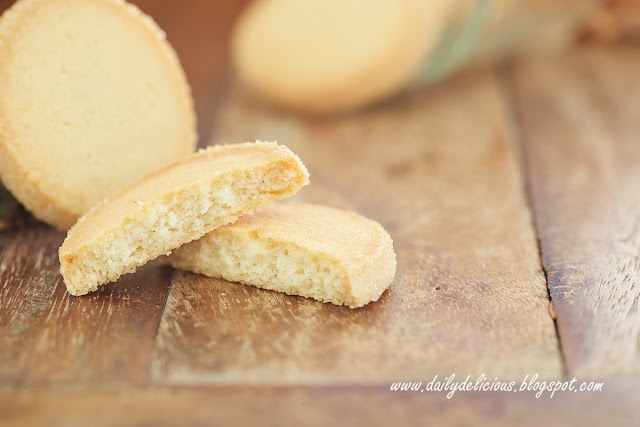 I test many recipes lately (will show you more, please wait and be patient, ^^ ), this recipe is one of the recipes that delicious and very, very easy to make. 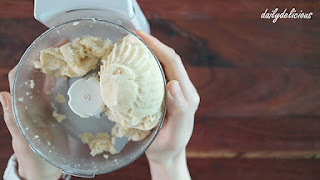 If you have food processor, use it! 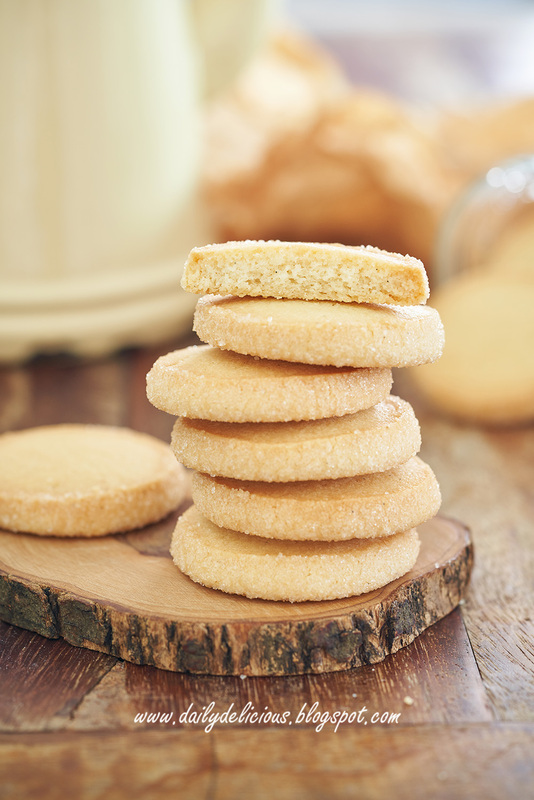 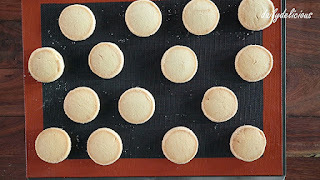 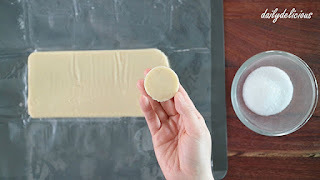 It's the best way to make this butter cookie, if not, you can try cutting the butter into the flour+sugar mixture and press the dough into the work surface until fully combine and smooth. 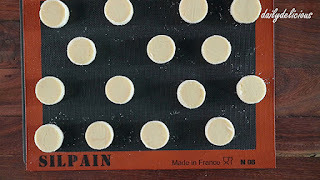 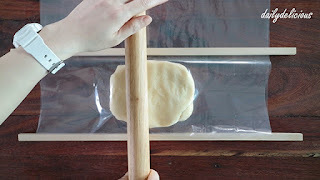 I use Silpain for baking this cookie as it helps preventing spreading (the cookie will stay round and lovely), but if you don't have it, using baking paper is fine too. 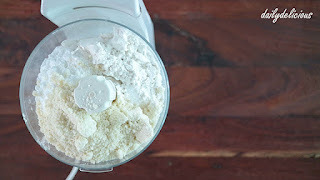 Put flour, almond powder, icing sugar and salt into a bowl of a food processor. 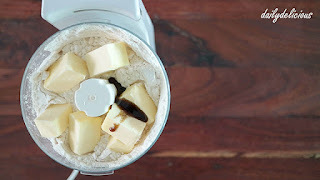 Put the cold butter and vanilla bean paste into the bowl. Place the dough between a sheet of plastic, and roll into 1 cm thickness. Line baking sheet with baking paper or silpain (if you have one ^^). 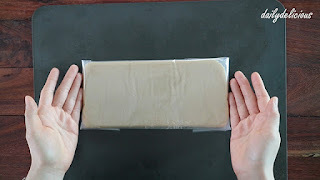 Cut with 4.3-4.5 cm cutter. And dip the side of the cookies into the sugar. I love sable cookies and these look perfect!